Although, we are reminded about showing our love during the month of February, I think it is important we show our love to those we care all year round! These cute gifts from Hallmark makes wonderful gifts for our loved ones. Everyone who loves stationary will love using items like the Marjolein Bastin note pad set, which comes with 3 memo pads and a pen that will be useful in any space. 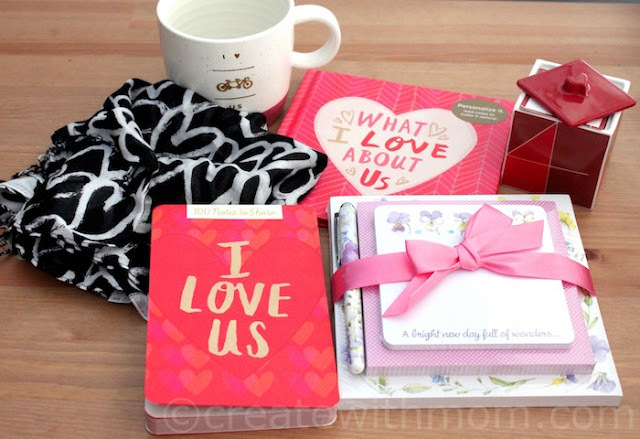 "I Love Us" notes to share, and "What I love about us" book are other fun items we can give. The soft "Wrapped in Love Scarf" is beautiful to wear around our neck. The 13 oz "I love us" oversized dishwasher and microwave safe message mug makes a beautiful gift to those who like coffee and tea. 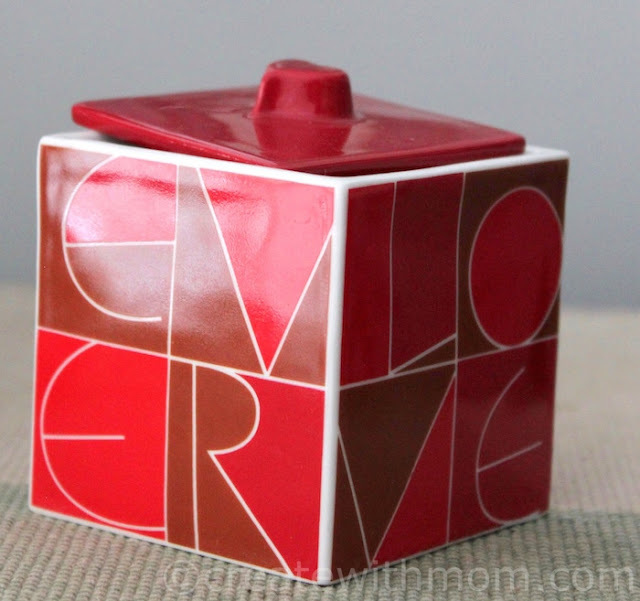 The porcelain red cube is a beautiful square container to put little things. 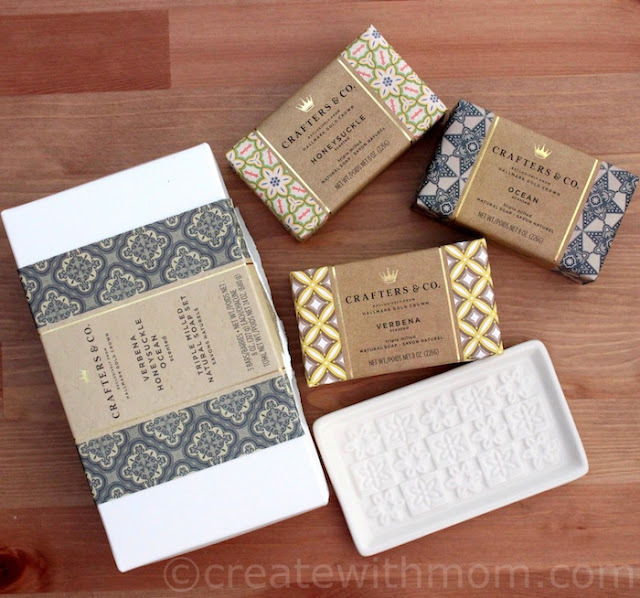 The triple milled natural soap set made from certified sustainable palm oil makes a wonderful gift set. It comes with 3, 8oz scented bars. I really like this set, as it is perfect for the washroom we are currently renovating. 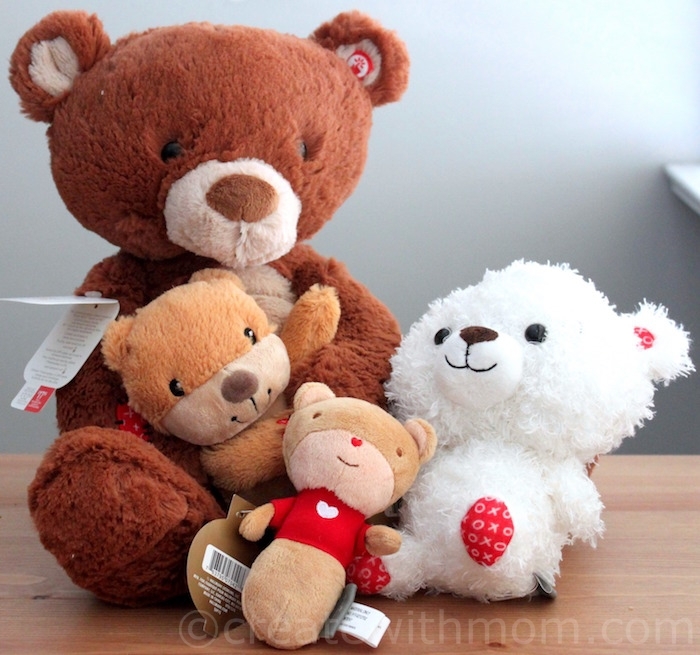 Items like this Cuddles to share' bear, and techno plush with sound like this "Count on Me Bear" makes cute, cuddly gifts. 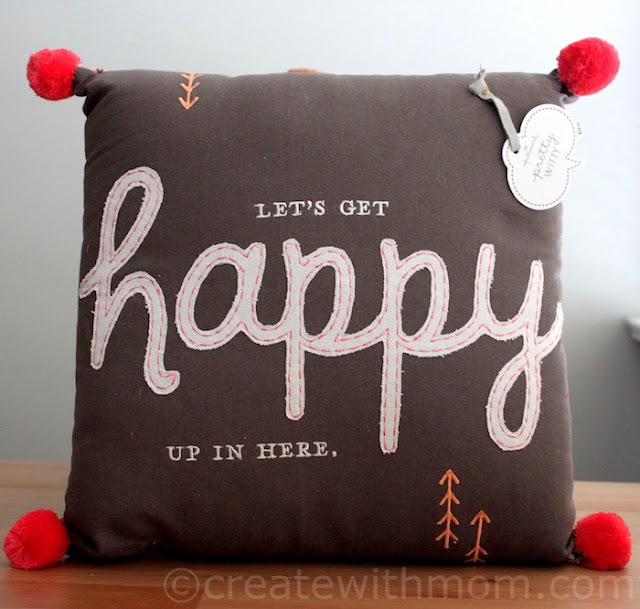 This pretty witty happy pillow has beautiful embroidered and appliqué front detail with pompoms in the corners, which will look cozy in any room. If you are in Canada and would like to win a Hallmark Scarf enter the giveaway through the rafflecopter before February 25th. Please leave comments and follow my social media links to be eligible to win. I'm from Ontario. I would like to win because these scarves are beautiful! I live in London ON and this scarf would be perfect for my scarf loving daughter Miss R.
I am from Nova Scotia. I would love to win because they are very beautiful and I love scarfs. would love to win this scarf because I could use one and it is beautiful. I live in Oakville, Ontario. I would love to win this beautiful scarf for my Mom. She's 94 years old and wears a scarf around her neck every day, because she feels cold drafts all year round. I love in ON. I'd love to win this for my mother. I reside in Alberta and would love to share the scarf with my girls. I live in Ontario. I'd love this scarf because it's pretty and I'd enjoy wearing it. I live in Nova Scotia. I'd like to give this scarf to a friend. I live in Ontario. I like the way it looks! I live in BC. Would love the scarf, it is pretty and would be nice to wear! I live in BC. I love the scarf, it's super cute. I have one of their Christmas scarves too and the kids love it. I live in Ontario and would like to win this cute scarf for my daughter. Live in Ontario... the scarf is so cute! I live in Ontario. I just recently started wearing scarves to work and I'd love to have more choices! 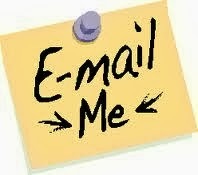 In ON here! Would love to win for my girl! I live in Ontario and would to win this scarf for my daughter in law. Ontario and this could replace the only scarf I have that is not stylish which this one is. I live in Ontario, I'd like to win because I'd love to have it. I live in NB and would like to win this for my mom. I'm in BC and I would love to win this scarf because I love the colour! I live in Alberta. I wear a lot of plain colour dresses and like to accessorize them with jewelry and scarves. This would be perfect.